Knee osteoarthritis is a chronic degenerative joint disease, influenced by inflammatory, mechanical and metabolic processes. Current literature shows that thigh muscles of people with knee osteoarthritis can have increased infiltration of fat, both between and within the muscles (inter- and intramuscular fat). The fatty infiltration in the thigh in this population is correlated to systemic inflammation, poor physical function, and muscle impairment and leads to metabolic impairments and muscle disfunction. 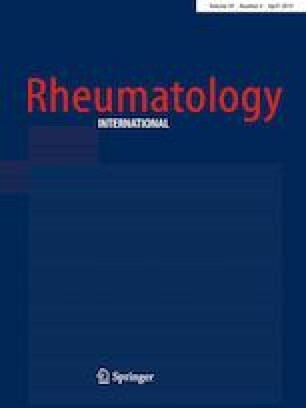 The objective of this study is to systematically review the literature comparing the amount of fatty infiltration between people with knee osteoarthritis and healthy controls. A literature search on the databases MEDLINE, Embase, CINAHL SPORTDiscuss, Web of Science and Scopus from insertion to December 2018, resulted in 1035 articles, from which 7 met inclusion/exclusion criteria and were included in the review. All included studies analyzed the difference in intermuscular fat and only one study analyzed intramuscular fat. A meta-analysis (random effects model) transforming data into standardized mean difference was performed for intermuscular fat (six studies). The meta-analysis showed a standardized mean difference of 0.39 (95% confidence interval from 0.25 to 0.53), showing that people with knee osteoarthritis have more intermuscular fat than healthy controls. The single study analyzing intramuscular fat shows that people with knee osteoarthritis have more intramuscular fat fraction than healthy controls. People with knee osteoarthritis have more fatty infiltration around the thigh than people with no knee osteoarthritis. That conclusion is stronger for intermuscular fat than intramuscular fat, based on the quality and number of studies analyzed. The online version of this article ( https://doi.org/10.1007/s00296-019-04271-2) contains supplementary material, which is available to authorized users. We would like to acknowledge the Fundação de Amparo à Pesquisa do Estado de São Paulo (FAPESP) for the scholarship given to Maria Gabriela Pedroso and Aline de Castilho de Almeida. This work was supported by the Fundação de Amparo à Pesquisa do Estado de São Paulo (FAPESP) with the PhD scholarship given to Maria G. Pedroso (Process number: 2015/19232-4) and Aline C. de Almeida (Process number: 2016/05047-3). Maria G. Pedroso declares that she has no conflict of interest. Aline C. de Almeida declares that she has no conflict of interest. Jéssica B. Aily declares that she has no conflict of interest. Marcos de Noronha declares that he has no conflict of interest. Stela M. Mattiello declares that she has no conflict of interest.